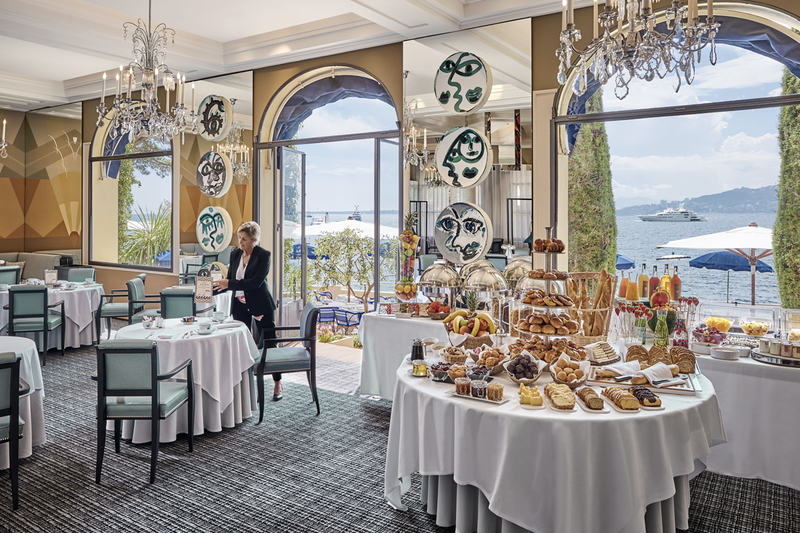 Graduate of the Nice Hotel Catering School, Stéphane Vuillaume has an extensive expertise within luxury hotel industry that he acquired with Hilton Paris, the Société des Bains de Mer in Monaco and the Belles Rives Group. 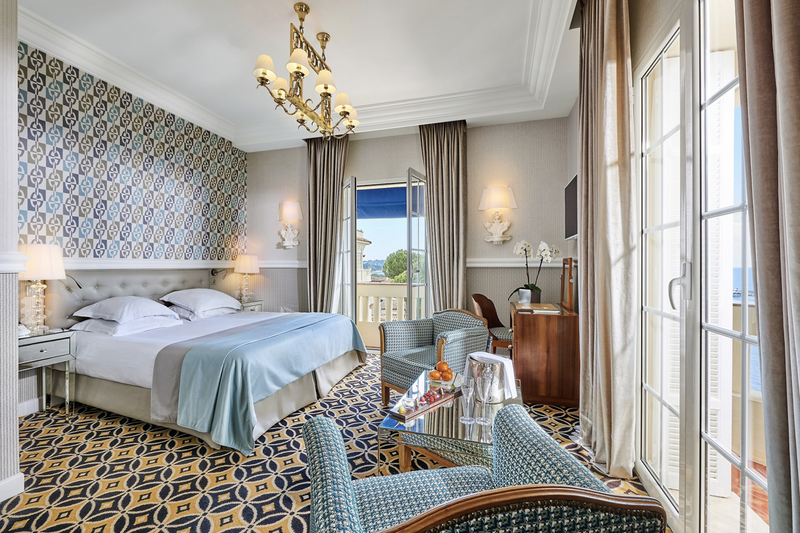 Since his arrival in 2008, the Hotels Belles Rives and Juana obtained in 2010 their fifth star. In 2011, he launched a beach night clubbing and the Fitzgerald Literary Prize. In 2012, the Belles Rives received two awards and three nominees in 2014 for « Prix Villégiature ». In 2013, he hired Yoric Tièche, former Deputy Chef of Yannick Alleno (Hotel Meurice Paris), as Executive Chef. Legendary hotels of the French Riviera, both the Belles Rives and the Juana share an unique location on the Cap d’Antibes. Historic SLH Members, these hotels distinguish themselves by their charm and character. 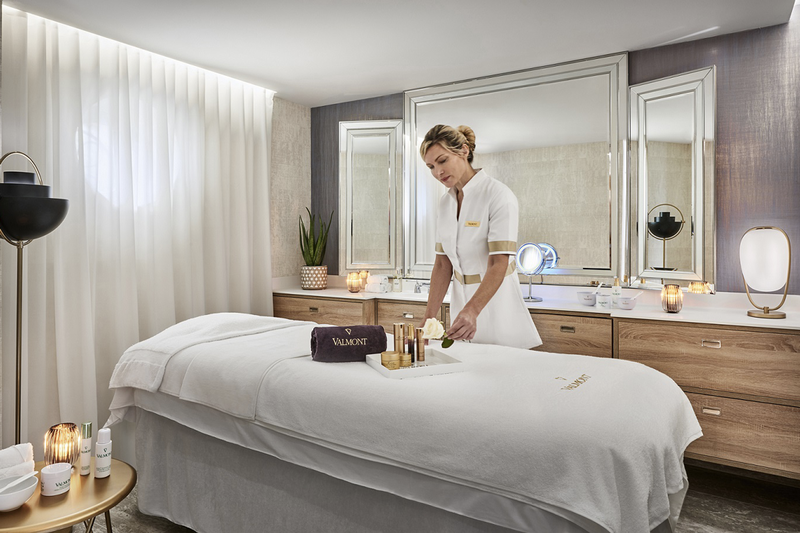 Stephane and his 200 employees develop a strong identity for each property, corresponding to a clientele expecting the best. 5-Star Luxury Boutique Hotel, member of Small Luxury Hotels of the World. Maintain a very high level of service, acting as the Leading Hotel in Town. Keeping a year around opening. The pas years, the focus has been done on the F&B side. The 1st Michelin Star is just a step to the second one. While in high season 100% of our clients are leisure, the focus is to get more MICE business for low and shoulder season. 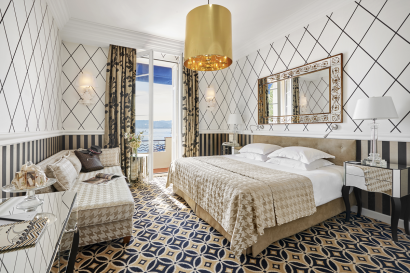 A breathtaking art deco palace in a spectacular Côte d’Azur setting, Hôtel Belles Rives sits on the water’s edge overlooking the sparkling Mediterranean Sea with outstanding views from the panoramic balconies. 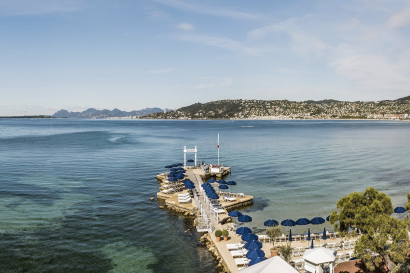 The hotel Belles Rives proposes 43 luxurious accommodations including 5 suites, A Michelin Star Restaurant La Passagère, a private Beach Club, Beauty Rooms by Valmont€, Water Sports Club, Piano Bar… The Hotel Belles Rives remains one of the very few hotel to offer a true waterfront setting. 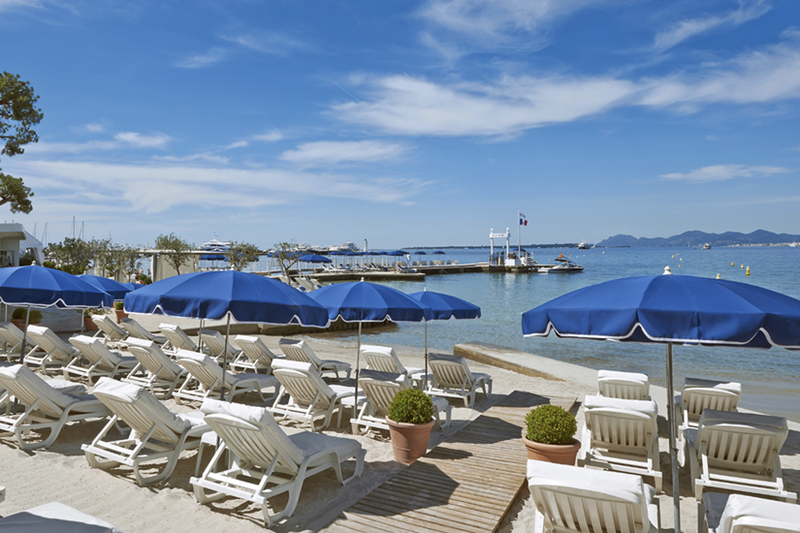 Experience the true glamour of the French Riviera spend time on the private beach where you can swim, sunbathe and practice some sport at the Belles Rives water-ski club. 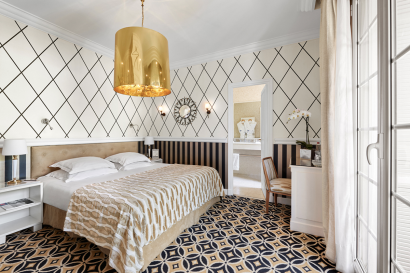 Afterwards, have lunch on the waterfront terrace at Plage Belles Rives and then stroll into Antibes Juan-les-Pins and explore the ramparts, the Picasso museum, and daily market and browse the quaint boutiques. Back to the Belles Rives, enjoy the stylish piano bar and the stunning waterside dining terraces. 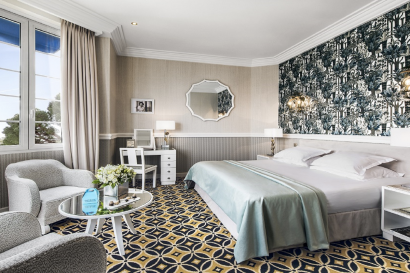 The Hotel Belles Rives announced in March 2016, the reopening of its 52 seat Mediterranean Style Restaurant, La Passagère, after a 500,000 EUR renovation program. Renovation feature new marble flooring, Henryot’s seating, a swatch of refined finishes while maintaining the original 1930’s cubist ceiling frescoes and Art Déco Design. This announcement came just after the Nomination of Steve Moracchini (Groupe Belles Rives Pastry Chef) as Pastry Chef of the Year 2016 by the Gault & Millau and Executive Chef Yoric Tièche first Michelin Star. • Full Resort including 3 restaurants, private beach, beach club and private jetty including water sports activities. • La Passagère, Michelin Star Restaurant. • 2016 Pastry Chef of the Year for Steve Moracchini, Pastry Chef of the Belles Rives Group. 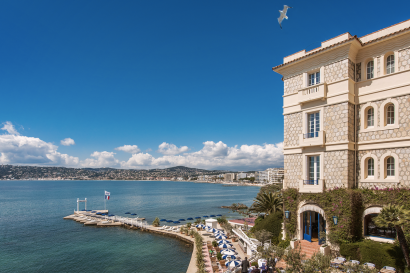 • Belles Rives Society Club: Belles Rives’ Event including our Literature Price, The Fitzgerald Award. (2016 will be the 6th Edition). Off the mythical road to Cap d’Antibes, the Hotel Belles Rives stands right by the blue water of the Mediterranean. 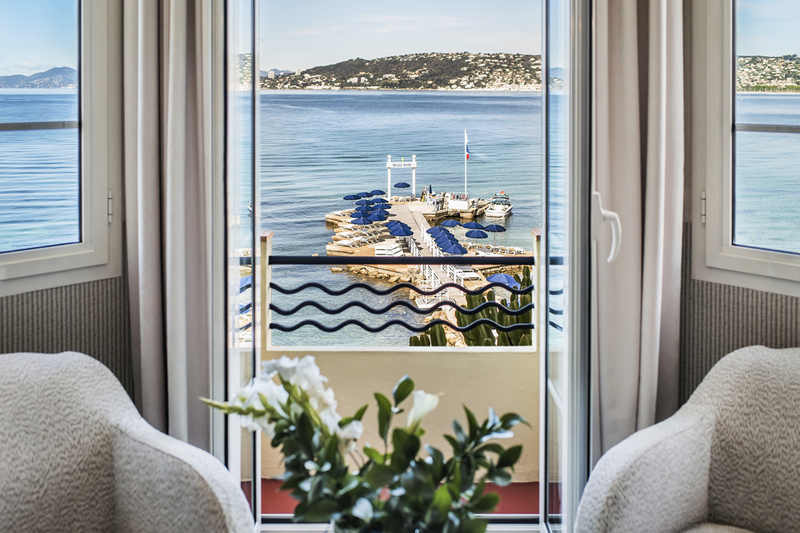 Halfway between Nice & Cannes the Hotel Belles Rives is THE great location to visit the entire French Riviera. 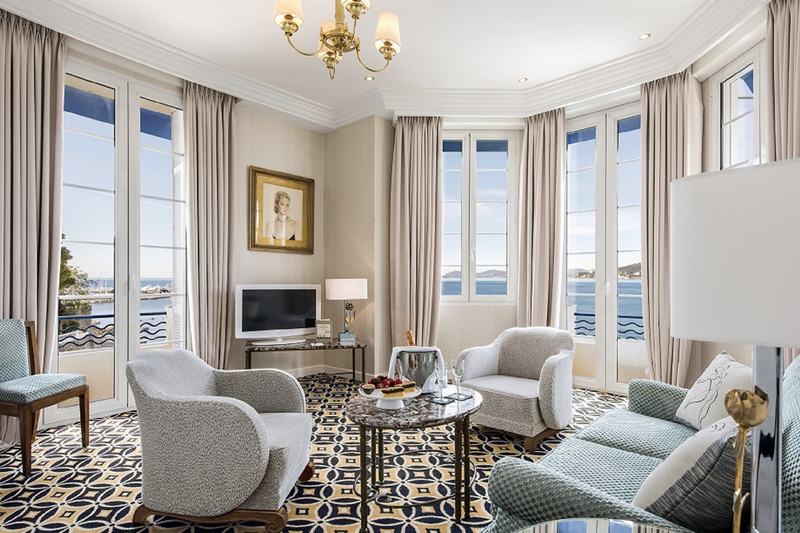 • Antibes and its Quai des Milliardaires. The waterski has been created in the Belles Rives pier in 1931. Nowadays, this sport is still very strong at the prestigious Belles Rives Water Ski Club. Childrens are welcome and dedicated activities are offered as bespoke service with the concierge. • 5 Sea View Suites. 1 Michelin Star Restaurant. Méditerranéen Cuisine. Summer and Provencal Cuisine. (Open from April to October). The Fitzgerald Bar belongs to a very exclusive group of historic and heritage cafés in Europe (Cafés Historiques et Patrimoniaux d’Europe). Club chairs, panoramic views, Master paintings, authentic parquet flooring….offset by a breath-taking view from the terrace where the setting sun is all the more magical. • Massage are available on the beach cabanas or inroom. Two function rooms and 2 break out rooms. 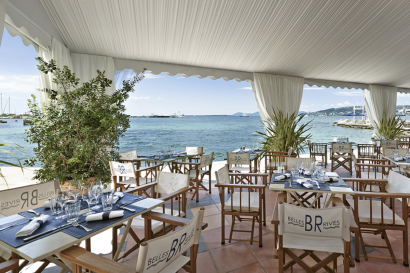 Beach Restaurant for private events up to 500 pax. Wedding venue. Water sport activities including the Belles Rives Water Ski Club, where the water ski has been created in 1931. • Top Foodie, Top 100 Best French Restaurant. • Luca Enrico, Chef Concierge, Silver Medal Best Young French Concierge. 200 on the peak season.